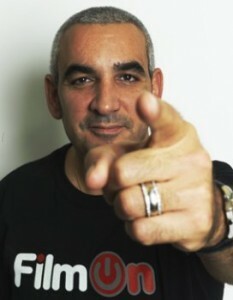 Internet-based television service FilmOn is looking to launch in the US, Europe and the Middle East in autumn 2011, according to the operation’s founder and CEO Alki David. David refutes such charges, suggesting instead that FilmOn, as a platform, is geared towards protecting and presenting content in a way that maintains the status quo, as opposed to disrupting it. “We’re not a Napster; we’re not here to disrupt; we’re not here to do anything other than build on the opportunities of the advancement of IPTV,” he declared. He described IPTV as “a great way to deliver communications and entertainment to a wider range of people in a more accessible way on a myriad of devices and platforms,” pointing out that FilmOn had secured deals with audience viewing specialists ComScore and Nielsen, and provided analytics enabling content owners, broadcasters and cable companies to benefit from its technology and the content it had aggregated. “We’re providing ways in which they can exploit their content to a wider range of people than they ever have done before,” he argued. He said that in deal making, FilmOn was looking to secure a “fair and equitable” share in the revenue resulting from broader distribution. He warned that if major broadcasters didn’t embrace IPTV and over-the-top television, they risked becoming insignificant, as had become the case with the music industry. Confirming that although FilmOn had shut off the major networks, it was still in detailed negotiations with a range of programmers, and would concentrate on doing deals with platforms, content owners and distributing the technology and content to people who could exploit it by using it as a value-added service to existing business, or building a platform such as FilmOn and then advertising it.